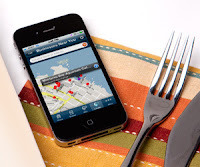 The Culinary Gadabout: Seafood Watch on your Apple device—for free! Do you know about Seafood Watch? 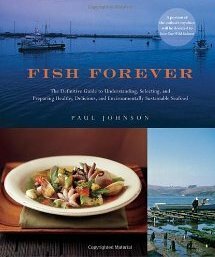 Begun in the late 1990s by the Monterey Bay Aquarium, it’s a program designed to increase consumer awareness about sustainable seafood. 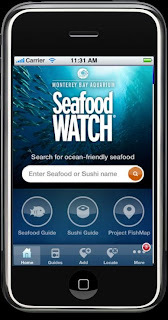 Seafood Watch is probably best known for its free wallet-sized “pocket guides," which help consumers make wise seafood selections at the market or in a restaurant. Since 1999 more than 35 million pocket guides have been distributed. 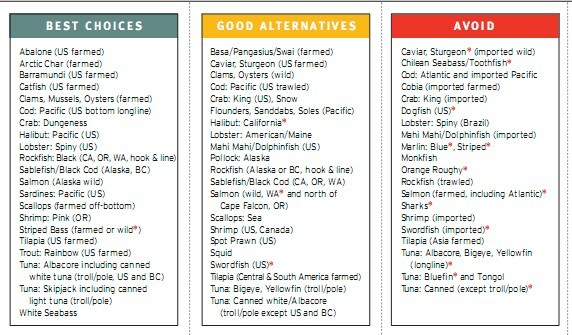 The guides divide seafood into three categories based on the research of Monterey Bay Aquarium Scientists. Fish stock health and, when appropriate, fish farming practices are among the most important criteria used for the categories, which are: Green (Best Choices), Yellow (Good Alternatives), and (Red) Avoid. I discovered these guides early on; I don’t remember exactly when or where. But I do recall studying that first guide with surprise—it offered the first clue I ever had that seafood is not a limitless resource. The people at Seafood Watch have done a boffo job of keeping up with technology. When the Internet became viable, it wasn’t long before you could download copies of the guide, print them, and scissor along dotted lines for that neat wallet fit. At some point the guides diversified, going from one general guide to today’s eight versions: six regional guides (West Coast, Southwest, Hawaii, Central US, Southeast, Northeast) along with a National Guide and a Sushi Guide. And since 2009 owners of iPhones and the iPod Touch have been able to download a free app Seafood Watch guide, so that an updated list can always be at hand. More than half a million have been downloaded thus far to iOs devices. The Guides have just been updated with recent changes. For example, Atlantic haddock, pollock, summer flounder and some cod stocks have shown enough signs of recovery to be added to the list of Good Alternatives on the Northeast Guide.